Bathrooms are on the rise. Nearly 30 percent of homeowners pick the master bathroom as one of their top 3 most important rooms, according to a survey by Realtors. Bathroom design has taken on a crucial role in home remodeling as more and more homeowners have found the value of customization. Homeowners spend an average of 30 minutes a day in their bathrooms, according to the Bathroom Habits Survey by Maximum Performance. Many spend much more. But no set of homeowners are exactly alike in their bathroom design philosophies. For some, the master bath should be their spa, a place of quiet respite to unwind with a long shower or soak. Others treat it as their armory where they store all the tools they’ll need to prepare for the day ahead. Most fall somewhere in between, balancing utilitarian features here and there with artistic flourishes that will delight them for years to come. Bathroom design is a complicated undertaking, and you’ll need a partner who can translate your ideas about size, features and artistry into the bathroom of your dreams. That’s where Pagenstecher Group comes in. Our architecturally driven process involves fully open communication between our clients, architects and craftspeople throughout the entirety of the project. We know that the most important step of bathroom design is listening to a client’s vision and helping them to achieve it. Let’s look at some hypothetical instances where bathroom design plays a critical role. Marcia and Ed are in their early 50s and find themselves with a lot of extra space in the house since the kids moved out. While their five-bedroom colonial once seemed like the perfect size, they feel like the space could be put to better use now that they are “empty nesters.” Marcia’s lobbying job is extremely demanding, so she wants a spa-like atmosphere she can relax in after a stressful day. Unfortunately, the current master bathroom is a bit cramped and utilitarian. The solution is a complete re-thinking of the master suite. Combining the current master suite with an adjoining bedroom creates the necessary space for a spa-quality bathroom, while also adding the “his” and “hers” walk-in closets Marcia has always wanted. Ample counter and storage space, a separate toilet room, large shower, and heated floors were key features Ed and Marcia wanted to incorporate into the design, and the air jetted whirlpool tub will melt Marcia’s cares away at the end of the day. Though this reduces the house to four bedrooms, it is well worth it to Ed and Marcia now that the kids are grown. Lydia and Clark are attorneys in their mid-40s who have grown tired of never having enough storage space in their master bathroom. Lydia has a client-facing role in her firm, and Clark claims her make-up and hair products have “overtaken the bathroom”. With busy careers and two active teenagers, Clark and Lydia spend no time in their large master bedroom unless they are sleeping. Not looking to add space to their post-WWII rambler, this bathroom overhaul will reclaim underutilized space in the bedroom chamber and incorporate it into the bathroom. Relocating the toilet within the new footprint allows the single sink vanity to expand to include two sinks and a designated make-up space customized to Lydia’s storage needs. Clark likes the body jets and frameless glass enclosure of the new shower. They both feel the trade-off of bedroom space for bathroom space has made a dramatic improvement in their enjoyment of their home. Samantha is an accountant in her late 30s and unhappy with the lack of closet space in her late ‘50s craftsman cottage. She doesn’t want to give up space in her master bedroom, but she does have a huge bathtub and can’t remember the last time she used it. Though it may seem hard to imagine, the design solution for Samantha actually reduces the size of her bathroom. Removing the oversized tub and enlarging the existing shower gives her the space she needs to expand her closet. The new walk-in closet incorporates a customized organization system with room for all of her clothes and more! What do all these cases have in common? They are complex, customized projects designed for the specific needs of a client. Bathroom design for projects like this requires the expert eye of an architect and the precise craftsmanship of an experienced builder. Pagenstecher Group thrives on this level of renovation. We listen to our clients and work with them to develop and implement designs that are functional and beautiful. Just ask Marcia and Ed, Lydia and Clark, or Samantha. Can my bathroom be transformed from its traditional look to a more modern style inspired by a floating vanity I saw at the restaurant? Can I remove a wall and incorporate the freestanding tub I see in all the magazines? How do I make the most efficient use of my bathroom while still making it beautiful? Questions like these are important to establishing the goals for a bathroom remodel. But there is a multitude of other factors that will require the expertise and guidance of a design and construction team like Pagenstecher Group. 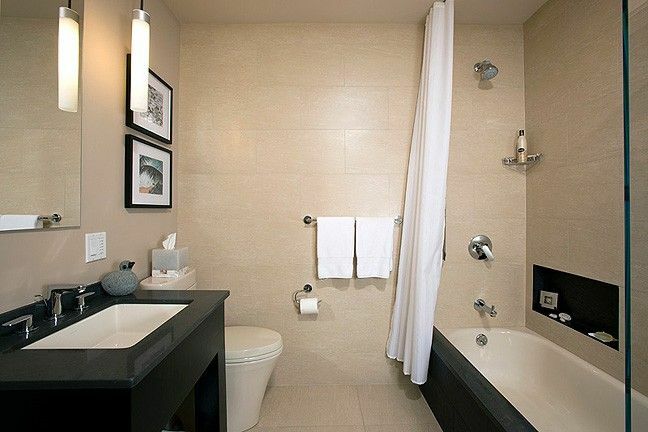 To start, a good bathroom design begins with a keen understanding of space planning. Physical items like toilets, tubs, showers, and vanities have varying spatial requirements that must be taken into consideration. If expanding the footprint, an understanding of the surrounding spaces and their requirements is also key. Add in structural constraints and code requirements and a project quickly becomes a complex jigsaw puzzle. But let’s not stop there. A good design also needs to take into account things like; lighting, ventilation, and effective water management strategies, to name a few. Details like these are as critical if not more critical than the vanity cabinet and tile selections. Though not as glamorous, overlooking any one of these details can literally “ruin” a project. So you are probably thinking to yourself, I didn’t realize a bathroom remodel was this complex. Well, it is, but that’s exactly what we love about remodeling. At Pagenstecher Group- “we love the complex!” We believe challenging projects foster creative design solutions and highlight the sophistication and quality of our craftspeople. It is our mission to take the complex … and make it look easy. Contact us today for a free consultation.